Menthe et Grenadine has teamed up with Ribbies on Instagram for a fantastic giveaway of 6 vouchers of £25/30€/$35 each! Follow Menthe et Grenadine children's shoes on Instagram to parcipate in our regular giveaways. 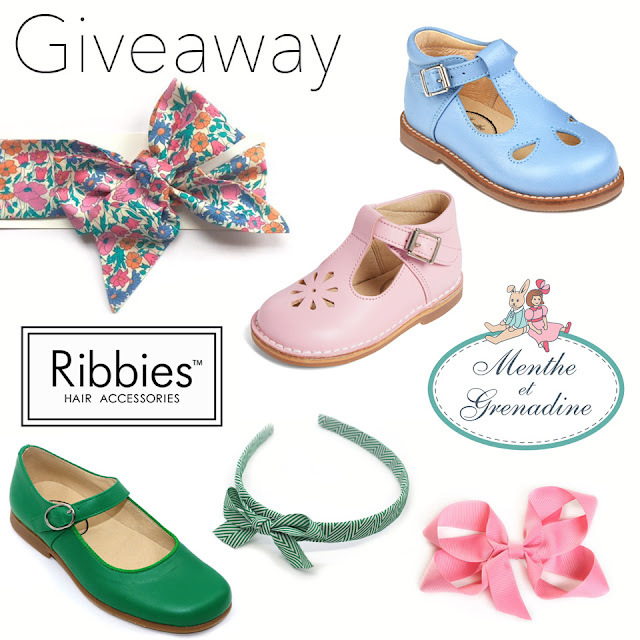 🌷Win a voucher for gorgeous hair accessories by Ribbies or beautiful traditional children's shoes by Menthe et Grenadine! 3) tag 2 friends in separate comments below! 🌟Our 6 winners will be announced on Monday 12th of March 2018! Labels: Your chance to win! Join our Newsletter for offers and news! © Menthe et Grenadine 2017. Ethereal theme. Powered by Blogger.